ALPENA — An Alpena man accused of drugging and sexually assaulting a pair of women will be headed to trial next month and jury selection will begin on the same morning the trial is expected to commence. Although it was discussed in court Thursday, it is not expected the jury will need to be sequestered for the trial. The prosecution and defense have expressed concerns jurors could possibly be influenced from media reporting on the trial. Judge George Mertz of the 46th Circuit Court, handling the case after 26th Circuit Court Judge Michael Mack recused himself, said he anticipates jurors will be able to follow his strict instructions to stay away from news reporting and social media posts during the process. 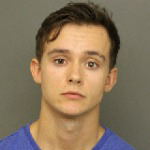 Nick Skaluba is charged with two counts of first-degree criminal sexual conduct, two counts of delivery of a controlled substance with intent to commit criminal sexual conduct, and two counts of third-degree criminal sexual conduct. Skaluba and some friends are accused of assaulting girls during parties in July 2016. The case has received a great deal of attention since the arrests were made, raising questions by attorneys over whether an impartial jury could be found. Another man charged in the case, Thompson Hein, was sentenced in October to 90 days in jail, 36 months of probation and about $1,200 in fines and costs after he struck a plea deal. Skaluba was in court Thursday for the final status conference before the trial begins on May 3. During the proceedings, Mertz asked whether the prosecution or defense had any matters to wrap up before the trial and said he didn’t want to adjourn the case again. Alpena County Prosecutor Ed Black said the defense had, late in the process, requested to add an expert witness to be allowed to testify. Black asked that cellphones the witnesses examined would be turned over to his office for examination, as well. Defense attorney Dan White said the phones in question would be delivered to Black in a timely fashion that shouldn’t present an issue for the time and date of the trial. Mertz said that, because of how late the witness request was made, Black had options he could take to respond. Black said he may not need to go that far, if there is ample time to have his experts examine the phones. At Thursday’s hearing, Black brought up the possibility of sequestering jurors during the trial so they wouldn’t be exposed to reporting on the case or discussion about it online. Mertz said he had considered the option, but believes that if he firmly addresses those on the jury before the trial begins, it shouldn’t be a large issue. He did leave the door open for sequestration, however, if both parties agreed that would be the best way to move forward. Potential jurors will also be interviewed individually in private chambers, on the record, during the selection process. White said that is a move he supports. “That will help to avoid poisoning the entire pool of prospective candidates,” White said. The entire week of May 13 is set aside for the trial, with the daily proceedings beginning at 8:30 a.m. and ending at a reasonable time in the afternoon, Mertz said.